The internet and modern technology have revolutionized the way we communicate, learn, work and live. They’ve even revolutionized our concept of love. 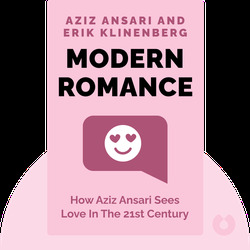 Modern Romance (2015) explains how our idea of “love” has changed in recent generations, and how you can make the most of today’s technology in your quest to find it. Aziz Ansari is an actor, writer and comedian widely known for his role in Parks and Recreation. 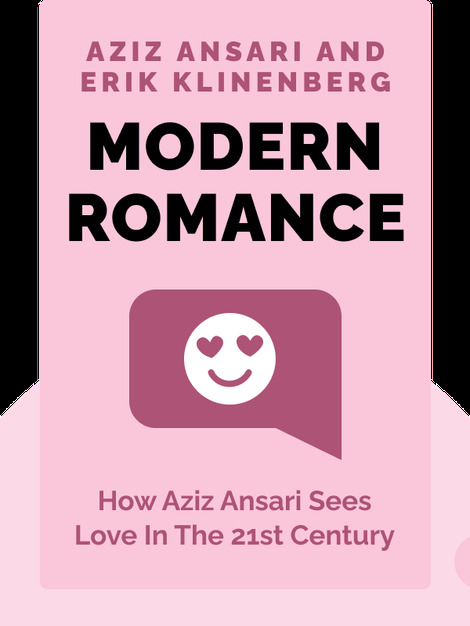 Modern Romance is his first book. Eric Klinenberg is an American sociologist and author. His writing has appeared in publications such as the New York Times, Rolling Stone and the Guardian.